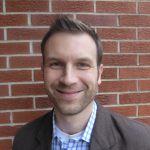 Branson Parler lives in Grand Rapids, Michigan, where he serves as Professor of Theological Studies at Kuyper College and Director of Faith Formation at Fourth Reformed Church. He and his wife Sarah have been married for 15 years and have 5 children. He is the author of Things Hold Together: John Howard Yoder’s Trinitarian Theology of Culture.